As we all know, Batman is one of the characters in the comics more followers has for many years ago. And it is that through the years the hero of DC Comics has captivated kids and not so young. A few months ago, the Samsung introduced its latest and new phone model; Edge Galaxy S7, which is now considered as one of the best devices of the company. 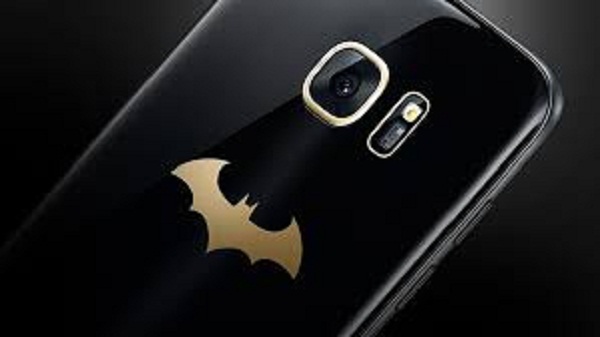 For those who are loyal fans of Batman, the company officially announced a new version of the smartphone, which is inspired by this character. The new Samsung Galaxy S7 Injustice Edge Edition will be available only in some countries and territories, which would be China, Singapore, Korea, Latin America, and Russia, among others. This special version of the device will have some improvements over the normal version of the S7 Edge, among which stand a greater capacity of hardware, software, as well as battery. The mobile brand will have the famous Batman logo on the back of the housing, and within the operating system Android will be present designs DC comics. This spice package S7 Edge Galaxy spectacular Injustice Edition will include a Gear VR (may vary in some areas), with credit vouchers game Injustice, as well as exclusive content Oculus VR. This release aims, commemorating the third anniversary of the very popular mobile game; Injustice: Gods Among Us. As indicated by the Director of Marketing at Samsung Electronics Mexico, Claudia Contreras, this edition was created for lovers of comics will be available in Mexico and some countries in Latin America. “We are very excited to share with the arrival of Mexican users Galaxy S7 edge Injustice Edition, which allow you to enjoy functions smartphone and enjoy a limited edition; the arrival of this new device will be accompanied by an aggressive digital campaign and a new concept of online sales, “said the executive of Samsung. Notably, what the last year the Korean company also launched a limited edition of its Galaxy S6 by then Edge IronMan, the smartphone was red and gold. Just they hit the market about a thousand units.